Rising star, Australian singer-songwriter MEG MAC will perform two dates in New Zealand to promote her new set of recordings, in April 2019. Tickets for all shows go on sale at 12pm Friday, November 23. 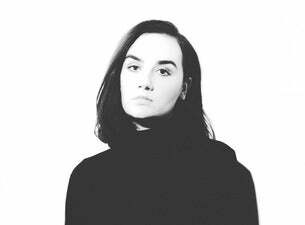 Since bursting onto the scene in 2014 as Australian radio station Triple J’s UnEarthed Artist of the Year, Meg Mac’s recipe of raw emotion paired with her soulful voice has seen her music gain fast critical acclaim. Her debut album Low Blows entered the ARIA album chart at number 2 in 2017, while the London Evening Standard recently put Meg Mac on their list of hot new stars to watch right now. And 2019 is set to get even bigger for the Melbourne artist with her new release of the song Give Me My Name Back, off her forthcoming record. Meg is gearing up to embark on a global tour across North America, the UK, Europe, Australia and New Zealand to share her “powerful new show” with a worldwide audience.